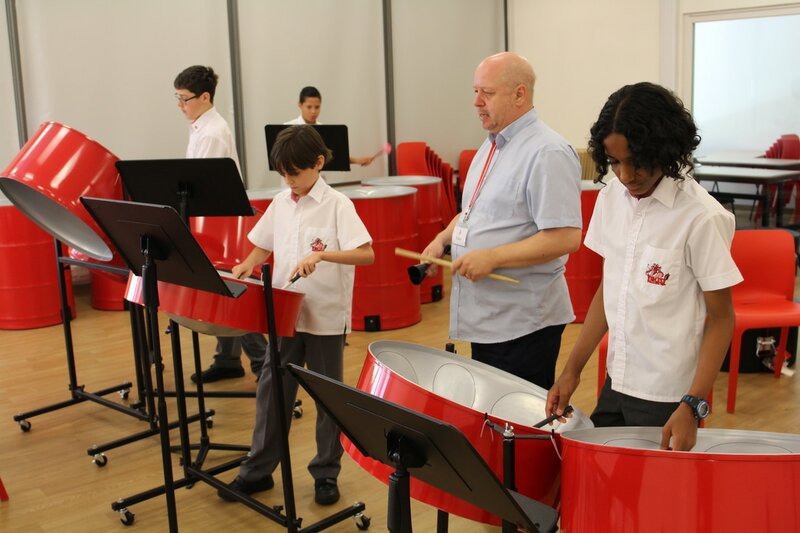 "Andy Gleadhill is internationally acknowledged as a leading authority on teaching World Music"
Simon Leese, Principal, Prince of Wales Island International School, Penang, Malaysia on Andy's World Music Workshops for pupils. "I honestly can’t recall the last time I felt this inspired to try something new in class”. Anne-marie, Primary School Music Teacher and Delegate the Scottish Association for Music Education Annual Conference on Andy's Teacher Development sessions. Andy has over 35 years experience as a professional musician playing with some of the leading Musicians, Artists and Orchestras in the world for live performances and film, television, and recording sessions covering all genres of music as well as playing in the orchestra for many of London’s West End Shows. He has a vast experience as a music educator and as a deliverer of music teacher development working at every level from early years to post graduate and beyond. He balances his work as a professional musician with delivering in-school world music workshops, training and professional development to both music teachers and generalist teachers around the world through his unique intensive training and bespoke mentoring schemes. 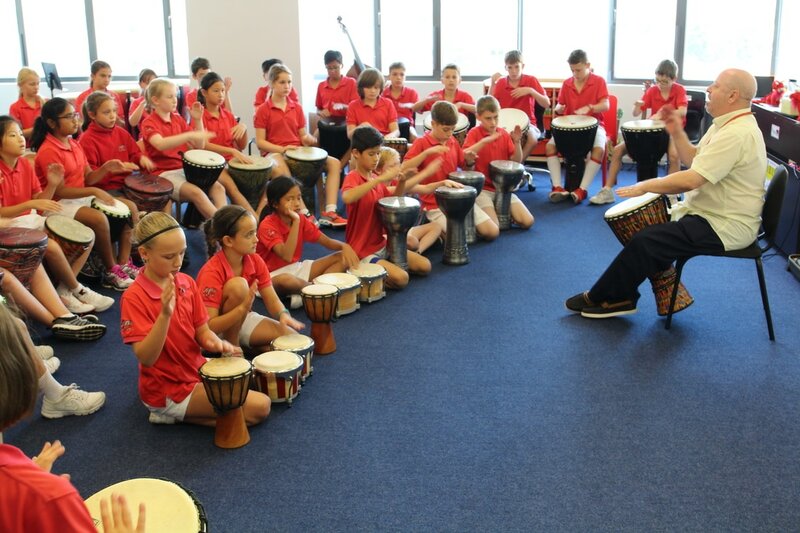 2019 has already proved to be a great year with Andy delivering his Music Teacher Professional Development Seminar “Around the World in 80 Drum Beats” to teachers from over 17 International Schools in Singapore as well as workshops at schools in the UK, Malaysia and Thailand. Andy was also presenting at the Rockschool Music Teachers Conference in London. A high profile music teacher development event is being planed for May 2019 in Kuala Lumpur, Malysia and Andy is also organising a major tour of World Music Workshops and Teacher Development Seminars in South East Asia and China for September and October 2019. Contact Andy for more details. He also continues to be been invited to many of the leading International Schools, Ministries of Educations and Universities across the globe for lectures, performances and workshops. Contact Andy for more information. Andy and RSL Awards (Rockschool) are proud to announce their association. Andy will be helping shape the future teaching qualifications of RSL and ensuring that his experience within music education is used to inform and build the careers of future music educators. In September 2018 Andy was again a key presenter at the Federation of British International Schools (FOBISIA) Annual Music Teacher Conference at the British School, New Deli, India. Andy's ground breaking approach to teaching world music has also been adopted by the Public Schools System in Boston, USA. Andy was be there in November 2018 delivering teacher development training to enable schools to roll out his award winning approach. 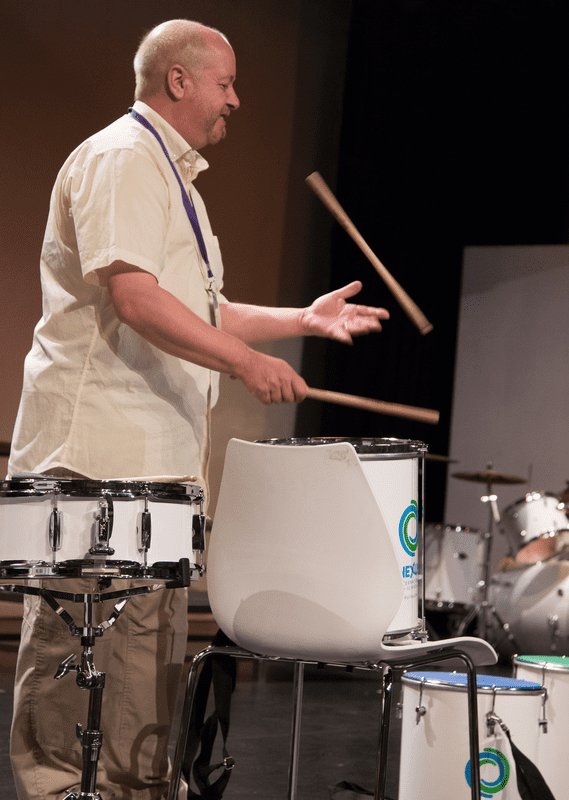 He was also appearing at the Percussive Arts Society International Convention in Indianapolis, USA. His new unique and revolutionary approach to teaching music is creating great excitement in the music education community across the world. His latest book "Percussion Buddies" has had a fantastic response from musicians and teachers and is available from Amazon or Drums for Schools. Andy is also working with world renown organisation "Sing Up" delivering teacher development and showing how to make any singing session a whole-class vocal and instrumental lesson. Andy has written a brand new music teacher training course for becomeamusicteacher.com This is the first course of it's kind that helps working musicians develop their teaching skills. Visit www.becomeamusicteacher.com for more details. As a music educationalist he has worked at every level of music education from early year’s settings to postgraduate teaching at Universities and Conservatoires. He was for many years the head of the Bristol Arts and Music Service, which he built into a leading music support service and where he pioneered the introduction of world music styles for class instrumental teaching, setting new standards in accessibility and inclusiveness. He was also the founding head of the music education hub "Bristol Plays Music" as well as being the Director of the Bristol Centre for Music and the Arts. He has also worked as an examiner for the Guildhall school of Music and Drama and Trinity College London and worked as a consultant and mentor for the ABRSM, He has also written study pieces and examination syllabuses for the major music examination boards. Andy is in great demand as a teacher trainer and delivers a wide range of workforce development and CPD to specialist and non-specialist teachers and musicians in all educational environments. He is an associate lecturer at Bath Spa University Institute for Education where he teaches on the specialist secondary music PGCE course. Andy is also a visiting Professor of Music at the Malaysian Music Teachers Training College. Please go to the contact page to email Andy.